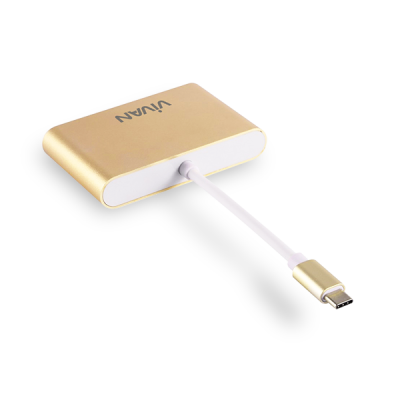 A perfect companion for 12 inch Macbook, Google new Chromebook Pixel. 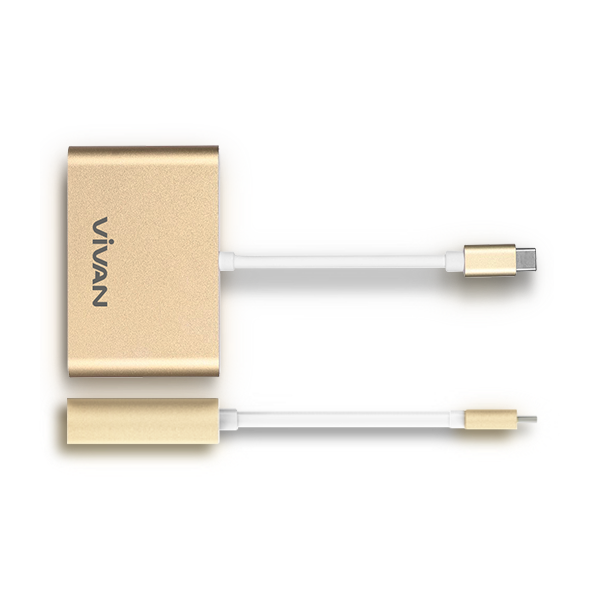 With this adapter, it is easy for you to connect your new computer with type C port to a monitor with VGA port and other devices(USB flash disk, mouse, keyboard, etc.) 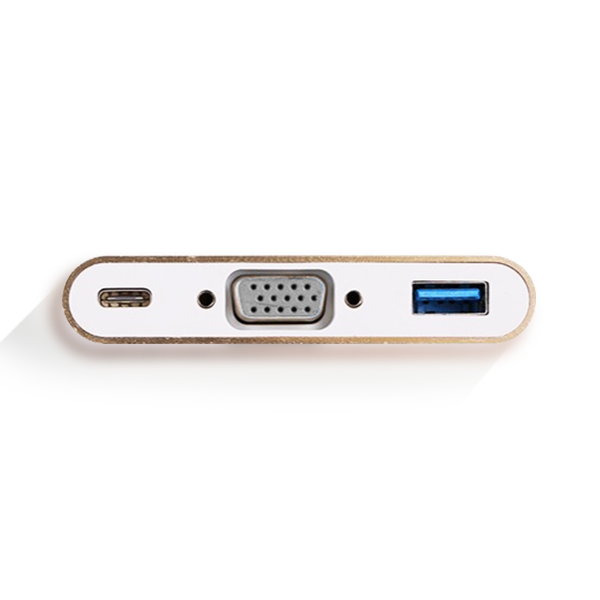 with USB3.0 port, supporting data transferring and charging. 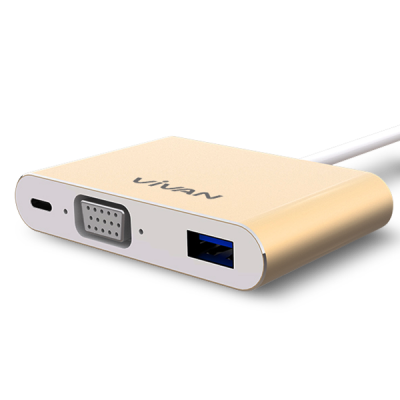 Combining the USB 3.0, VGA, type C/Female port into one, the adapter/hub allows you to connect your computer with type C to VGA supported monitor/projector and the other devices with USB3.0 port. The Type－C/Female let you charge your computer easily. 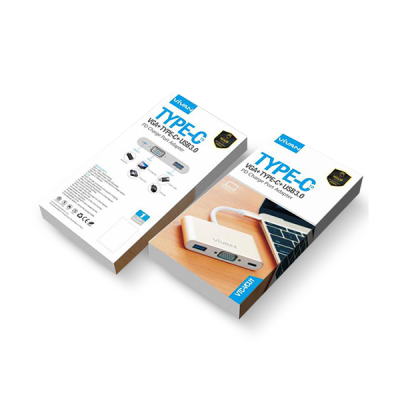 The Type-C/Female port allows you to charge your 12 inch Macbook, Google new Chromebook Pixel. 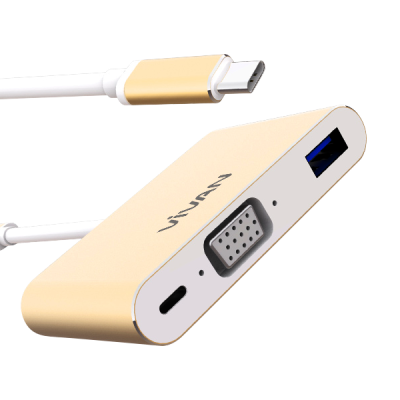 2.When connecting this product to Chromebook, the USB3.0 port sometimes cannot work normally. 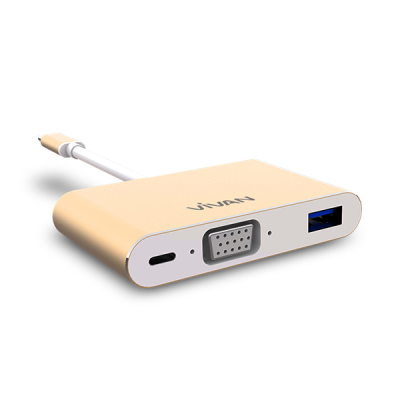 3.When connecting this product to Chromebook, the VGA video signal may not appear on the screen of the VGA monitor under certain resolutions. 4.The above two problems are caused by the incompatibility of the Chromebook system, not by the product itself.